However, just because you have bad credit doesn’t mean that you can’t qualify for a personal loan. Getting a personal loan is possible even if you have really bad credit, but you have to be really careful because there are a lot of predatory lenders trying to scam people in a situation like yours. In this guide, we will walk you through all steps you can take to get personal loans and even how to lower your rates with really bad credit. But before that, we want to make one very important clarification! People with really bad credit who are sure that they can repay the loan within the given time frame requested by the lender. People with really bad credit who are almost sure that they cannot repay the loan on time. But before we start, a few words about these two categories of people. People who are sure that they can pay back the money on time. These probably are people with a regular job, people who make some money or people who have other options when the pay date arrives. For these people, it won’t be a problem to find personal loan at reliable rates (even if rates are more expensive than loans for people with great credit score, it will still be much cheaper than payday loans). In fact, there are many loan companies that are really flexible these days. 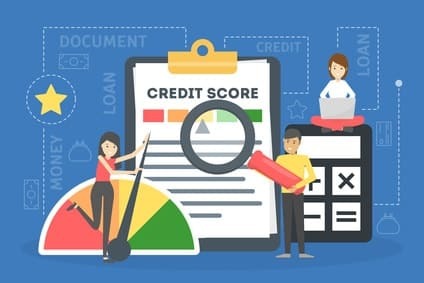 Many lenders they try to evaluate your real financial situation (work history, education, income and so on) and your ability to repay the loan instead of only looking at what your credit score says about you. We will show you exactly how to get a personal loan later in the guide. People who are almost sure that they don’t have the ability to repay the loan on time. These are people not only with bad credit but they are probably in a very bad financial situation, possibly unemployed or with a lot of monthly expenses and a very low income. We are really sorry if you are in such a situation and we will do our best to help. We don’t want to be responsible for getting you into a big trouble, so we recommend that you avoid getting a loan! If you really need to get a loan, you can apply almost the same strategies that we will give to the other group of people, but you need to be careful. You have to understand the consequences of not paying back the money on time, which we will explain later in this guide. We will also give some tips on how to avoid getting a loan, including some fast ways to make money. How to Get a Reliable Loans with Really Bad Credit? BadCreditLoans is a company specifically designed for people with really bad credit. And it really works. If you have really bad credit, start from them. According to the information on their site, you can get between $500 and $5,000 with an APR of 5.99% to 35.99%, which is absolutely in the range of a personal loan. However, there are cases when people receive offers with a higher APR. Also, if your credit score is really bad, you probably can’t expect a loan over $1,000 or $2,000. There are also cases where they won’t put trust in you and you won’t receive an offer from them at all. Make sure you read the contract carefully before accepting the offer, because in some cases the APR can be higher than what is mentioned on their website. But no one stop you from trying. The registration is free and there is no obligation to accept the offer. Shop Around and Compare Offers ! Will I lower my credit score if I apply for many loan companies? NO! You lose some points only if the lender makes a hard inquiry. But this happens only after you have been approved the loan and you accept. The application process doesn’t require a hard inquiry, so registering with many loan companies won’t lower your credit score. The most important thing before you get a loan with bad credit is to shop around. Some sites won’t accept you, other will accept you but won’t send you offers, some will give you expensive offers explaining that you present risk for them, other will give you a great offer. So, the more you apply, the more options you will find. Here are some of the big names in the personal loan business. All legit companies that we list have no registration fees and there is no obligation to accept the offer if you don’t approve it. You won’t find this company listed in many places where bad credit loans are discussed because they prefer to work with people with better credit. But a few months ago, they significantly improved their marketplace. Now they work with many more lenders (peer-to-peer lenders, banks and online personal loan lenders). This makes you 2-3 times more likely to get their loan than before. So, we highly recommend that you start with PersonalLoans. Most of you will receive offers from them. APR is 5.99% to 35.99%. Loan amount is $1,000 to $35,000. Loan terms is 3 to 72 Months. This company can be a great pick for you even if you are with bad credit. But they are also great for people with thin credit (thin credit means a credit file with short history, typically among young people). Upstart has become a very well-known lender for people with bad credit because they look at other factors like education, degree, job and income history. These are all factors that play an important role in evaluating credit risk and many people with bad credit score can be approved. Loan amount is from $1,000 to $50,000. Payoff is a well-known company for people who want to pay off their debt and this is the best perk about this company. They have some basic requirements for credit score and debt to income ratio, so you cannot be sure if they will approve you if you have really bad credit and what terms you will get, but try it. People with bad credit can benefit from them. Loan Amount: $5,000 – $35,000. Although they have some basic requirements for minimum credit score, they can help people who have lost their job recently and have low credit score. But be careful about their teams and especially their late fee. LendingTree is an online loan marketplace that allows people to receive multiple loan offers when they apply. What is great about Lending Tree is that you complete their application form only one time. A hard inquiry won’t be performed. There are a lot of lenders available in their marketplace. When you shop around, register with them. APR is from 5.99% to 35.99%. Loan amount is from $1,000 to $35,000. With this company, you have much better chances because they offer both secured and unsecured loans. If you have not been approved for unsecured loans and you are sure that you can repay the loan on time, you can apply for secured loans. In this case, you put something in a collateral. A secured loan significantly increases your chances to be approved even with really bad credit, increases the amount that you can get and significantly lowers your APR. However, you can lose the collateral if you don’t pay the loan on time. Loan amount: $4,000 to $35,000. Opploans is a type of alternative payday loan company. These companies are here to help people with bad credit and those in the lower half of fair credit score. They have better terms than payday loans, but worse than personal loans. What is great about them is that they are very flexible. Lendup is another example of alternative payday loans. They work on a point-based system, which they call ladder. In brief, it is a system that rewards you with better loan terms (APR, loan amount, and so on) if you pay your loan on time and work with them to improve your credit. If you can’t make a payment on time, they offer you to delay it without a late penalty fee or a rollover, unlike payday lenders. What Loans are Available for People with Really Bad Credit? Big competition between loan companies leads to much greater flexibility on the market. Many personal loan companies are much more flexible these days and actually offer loans for people with bad credit. Flexibility means that people with a lower credit score can get offers with a competitive APR, transparent contracts (fewer hidden fees), higher loan amounts and better terms overall. What about people with really bad credit, can they get a personal loan? Although the quick answer to this question is yes, people with bad credit have to be pickier and they can’t expect terms like people with excellent credit. Later, we will list more advanced tips that can be of help in your situation and even tips on how to lower your rate. There are companies that work with bad credit but still have requirements for your minimum credit score. And if your credit score is not really bad or if you have options to add a few extra points soon, you can apply. However, there are companies that don’t require credit score to apply. We will try all of them to see what they will offer to us. This is a totally new type of lending business. If we define personal loans as loans with rates up to 36%, and payday loans with rates over 400%, then everything in between these values is considered an alternative payday loan. 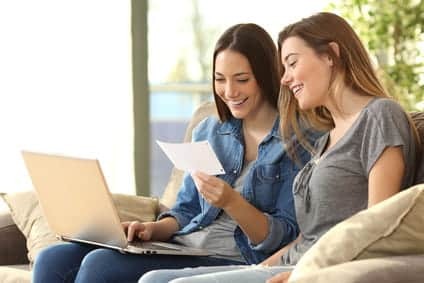 The great thing with alternative payday loans is that you have much better chances to get a loan than with personal loans in case you have bad credit. Although many financial experts claim that alternative payday lending is close to predatory payday loans, there is actually a difference. Here is what we can say about alternative payday loans. They are much more flexible than both personal and payday loans. The gap between payday loans (typically fast cash up to $1,000, one-time payment with high interest rates with about 400% for less than a month) and personal loans (long-term loan, paid in installments, between $1,000 and $50,000 with a rate lower than 36%) is huge. And if you stick to alternative payday loans, you will even be put into different subcategories. For example, people with very bad credit will be charged high fees and receive less money (similar to payday loans), but people with better credit score and financial situation will be charged rates similar to personal loans. Most of these sites even offer you a lot of benefits in the repaying period and after it, in case you apply for other loans. If they see that you are repaying your loan on time, working on your credit score and improving it, and even only watching educational materials about increasing credit score, you get points. More points means better terms for you. 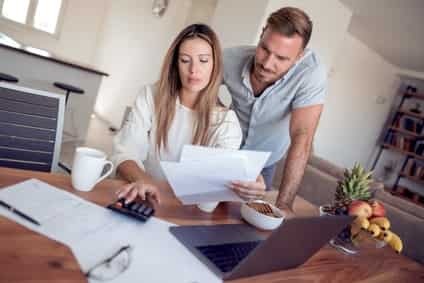 Instead of trying to get you into a debt cycle, these companies offer you to delay some of the installments without penalty fees or even refinancing options. In brief, there is an actually big difference between these loans and payday loans. By this, we mean things like credit unions, banks, credit cards for bad credit and so on. What Types of Loans to Avoid? These loans are very expensive for people who can repay them. And for people who can’t repay them on time, they can be even dangerous. These loans have an APR of about 400%. If you get $300, you will have to pay $345 in 2 weeks, CFPB states. That’s a really high price. But people who can’t repay the money on time have to pay only the $45 fee, which doesn’t lower the principal amount of the loan. And then, this process repeats until you pay the full amount. This is also known as debt cycle. Unscrupulous lenders use this type of lending to target people who can’t repay their debts on time and thus they make a lot of money from them. They manipulate people into believing that if you have bad credit, they are your only option, which is NOT true! ElitePersonalFinance highly recommends that you avoid payday loans! We will work with you in this guide to give much better options. Auto title loans work almost the same way. The difference is that you put your car in a collateral. This means that in spite of the high fees that you pay to the lenders, they can eventually get your car. Auto title loans are totally different from secured personal loans. Actually, with secured personal loans, you can get a much better deal with some of the companies listed in this post. Don’t use auto title loans. Installment payday loans seem like a better deal than payday loans because the lender allows you to pick a repayment plan that suits you. But it the end, you pay a much higher APR. And again, there is a possibility of debt cycle if you don’t repay the loan on time. And in the end, they can report that you didn’t pay the loan and you will end up with an even worse credit score. Payday loans are illegal in some states. Here is a list of payday loans laws by state. 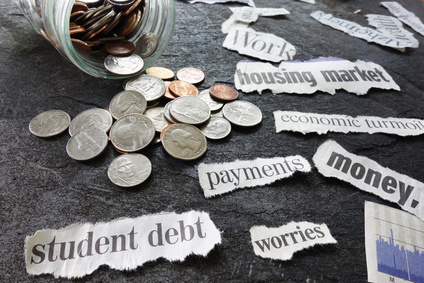 What to do if you are already in a debt cycle? Read the tips from CFPB. Start Working on Your Credit Report Now! Are you sure that your credit is so low? Start by requesting it from AnnualCreditReport now. Improving credit score is a long process, but there are a few things that you can do right now to add a few points to your credit file. You can benefit from each point even if you have bad credit. Check your credit report for errors. Many credit reports have errors. If you find some errors, you can instantly request them to be deleted, which will increase your credit score. Have you repaid a loan with success recently? Do you have a credit card which is in good standing? Ask your lenders and issuers to report that to 3 bureaus and this will give you a few more points. If you have really bad credit, you have to start working on it. Start here. How to Get Personal Loan with Really Bad Credit? In this article, we listed a lot of companies that will probably give you a loan. But there are cases when you won’t get an offer or the terms will be not good. This happens if you are in a really bad financial situation. There are things that everyone can do to get a loan and improve the terms significantly. Below we will list some strategies that will enable you to get approved for a loan or significantly lower the APR and increase the amount requested. Use them only if you are sure that you can pay the loan on time! Get Secured Loans. A secured loan means that you put something in a collateral. When you are with bad credit, lenders don’t trust you that you will pay the money back. If you agree to secure the loan with your car, for example, many lenders will agree to give you more money or a better APR. But if you don’t repay the loan, you risk to lose this collateral. Note: A secured personal loan is totally different from auto title loans, which should be avoided. Co-signer. Co-signer is a person who typically has better credit score than you and will be responsible for the loan if you can’t pay it on time. If you find such a person, many lenders will agree to give you a loan even if you have very low credit. However, you put this person at risk as they will be responsible for the loan too. Get Unsecured Guarantor Loan. An unsecured guarantor loan is similar to unsecured loan with a co-signer. An unsecured guarantor is an individual responsible for paying the loan if you fail to do it. The difference is that a cosigner is an explicit co-owner of an asset, whereas a guarantor does not own the asset but instead guarantees for the payment. Ask Someone to Get The Loan for You. If you have a person that you trust and they have a great credit score, why don’t you ask them to get the loan for you? This way, you can get great terms, but if you can’t repay the amount, then they have to pay it for you and you risk your relationship with that person. Credit Unions and Banks. For people with fair and good credit, this will probably work better. These options probably won’t work for people with really bad credit. But it is still a chance to get a loan from credit unions or banks. Credit unions will review your whole financial situation, not only your credit score. Try them. Get Credit Cards for Bad Credit. Credit cards are an option that everyone has to consider when getting a loan. In case you have really bad credit, there are many options. There are a lot of credit cards that you can get. If you have a really bad credit score, the amount of money on them will be lower, their fees high, but still, this is an option that you can try. Take a look at our best credit cards for bad credit. The problem with credit cards emerges when you spend the money. Then you will end up paying annual fees and a percentage spent over the limit every month until you repay it. What to Do if I Need a Loan but I’m not Sure if I Can Repay It on Time? We highly recommend that you do not get a loan! If you are sure that you know what you are doing and want to get a loan, the steps that you have to take are almost the same like those for people who have bad credit but better financial situation, and thus can repay the loan. However, there are lenders who carefully review people’s financial situation, not only their credit score. They won’t approve you because they think that you can’t repay the loan. Let’s start with the consequences if you get a loan and you are not sure if you can repay it on time. Lowering your credit score. Lenders will report that you did not pay the loan, which will lower your credit score and put a mark on your credit report that will stay there for up to 10 years. Getting into a loan debt cycle. This typically happens with payday loans. When people can’t repay the loan on time, they are asked to pay only the fees, but this doesn’t lower the amount of the loan. This is a process that can occur many times. You end up paying much more than the amount you got from them. Lenders can sell your loan to debt collectors. In brief, if you are not sure that you can pay the loan back on time, don’t get it. If you don’t repay a payday loan on time, the consequences will be much more severe. Still, you aren’t safe even if you don’t repay a personal loan, because in the end, everyone wants their money. You should really start working on finding a job if you are unemployed. Also, you can get a better full-time job or some additional part-time jobs, etc. There are some things that you can do to try to avoid loans. In this article, we have covered many ways that will help you avoid loans. Read how to avoid loans. If you have a low-paying job and some free time, you can try working online part time. You can even work online full time if unemployed. Actually, there are people who make a lot of money online. How can you be sure that searching for loans for bad credit and bad financial situation won’t lead to finding some great ways to make money online and even change your life ? There are many ways to make money online. Some of them are free to start, others require some money. Some of them are part-time work-from-home opportunities that typically pay less, others require time and more work but with them, you can make more money in time. Some of them require skills, others don’t. Some are online businesses, others work-from-home jobs. We will stick to free methods that you can use to make money instantly which don’t require some skills. The downside of them is that you can’t expect a lot of money in a short time. In time, you can look for more ways to make money online. Paid surveys. You give your opinion on products and services, and companies pay for your help to improve their businesses. Although many people consider them to be scams, there are legit survey panels that can make you some money fast, but don’t expect a lot of money from them. Freelancing. You can make money freelancing even with no skills, because this is actually a huge marketplace where buyers order many services online. You can expect more money if you have some skills. But there is a job for everyone, even for people with no skills. Why don’t you start with our freelance guide? Sell old stuff online. Is there anything in your home that you don’t need anymore? Can you sell it online for some fast cash? If so, do it. Many sites offer you to list items for small fees. Make money for testing websites. User Testing pays you money for testing websites. It is a very easy task, but don’t expect a lot of money. Sell gigs online. There are many sites where you can sell gigs online. These work very similar to freelance sites, but the difference is that you create a gig and wait for people to buy it. Let someone use your car. With services like Getaround and Turo, you can make money by lending your car. Make money driving. With services like Uber or Lyft, you can make money by driving people around. Become a mystery shopper. Mystery shopping pays you money to shop around and give an opinion based on your shopping experience. Having a real opinion of mystery shoppers helps companies improve the quality of their shops. You get money for your opinion or a free gift card from them that you can spend on everything in their shops and then use it or sell online. Work offline. There are many sites that connect you with people who need to work offline. This can be anything and you make money really fast. Most of you reading this article are in a bad financial situation, not because you don’t make money, but because you have a lot of expenses. In this case, you should work on reducing your expenses. If you want to get a loan and you have really bad credit, there are options but you have to be careful. Avoid payday loans. Personal loan companies will approve you, but rates will be high. Find other ways that will help you avoid payday loans. If you are not sure that you can pay the loan on time, be extremely careful and do all you can to avoid the loan. And it the end, ask yourself why your credit is bad. Start working on it and next time, read our article on best personal loans instead of best loans for really bad credit. How to Get Personal Loan with Bad Credit Fast and Easy?